Discover more about the rich history of the Roman Baths where the continuous gush of hot mineral water, bursting from the ground, has always been a subject of wonder. The water we see in the Baths today fell as rain on the Mendip Hills many hundreds or even thousands or years ago. It percolates deep down through limestone aquifers, heated by the earth's core and raising the temperature to between 64 -96 degrees. Under pressure the heated water rises to the surface at 46 degrees along fissures and faults through the limestone beneath Bath. By the first century AD this part of Britain was occupied by an Iron Age tribe called the Dobunni. They believed that the hot spring was sacred to the Goddess Sulis who was thought to possess curative powers. In AD43 the Roman armies invaded Britain and by AD 75 they had built a new religious spa complex around the thermal spring and the settlement then grew as a centre for health and pilgrimage. 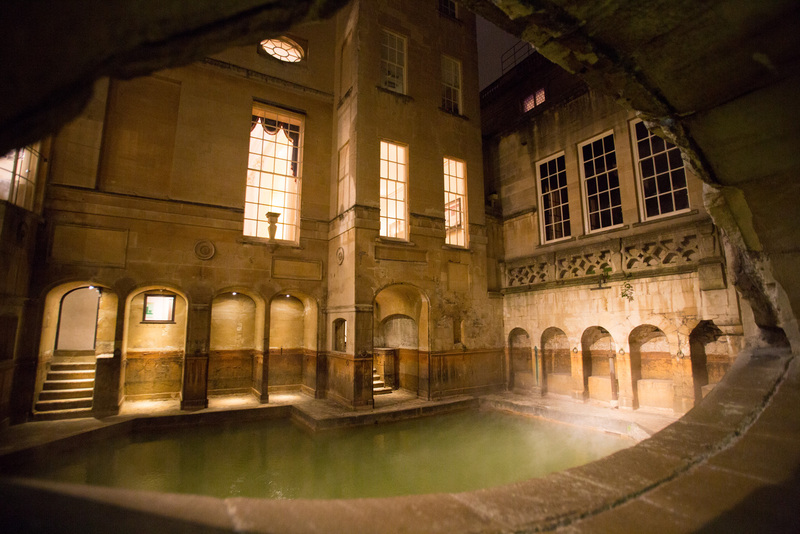 It was named Aquae Sulis meaning ‘the waters of Sulis’. To keep good relations with local people the Romans were sensitive to their gods and goddesses and the goddess worshipped at the temple here was known as Sulis Minerva combining Celtic and Roman elements. 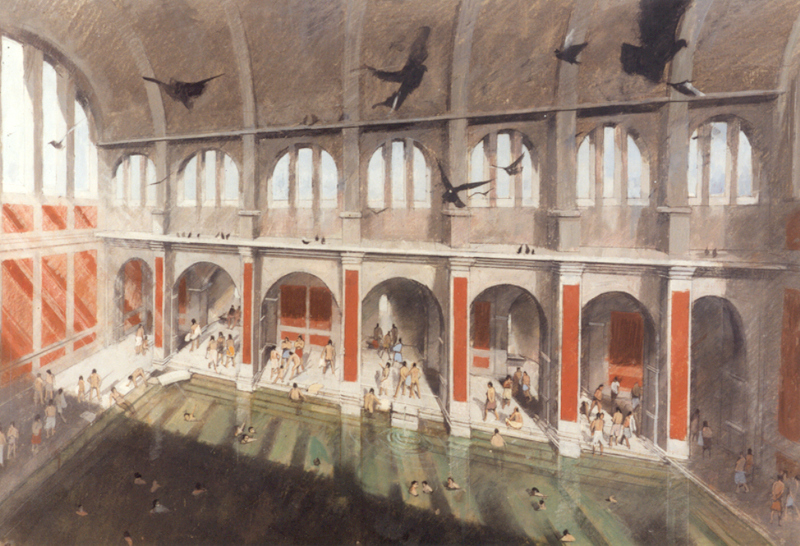 The Romans built the baths using the 1.3 million litres of naturally-heated water that rose to the surface naturally each day. The baths combined healing with leisure and water was channelled through the baths using lead pipes and lead lined channels. Even the baths were lined with lead. People came from far and wide to bathe in the waters and worship at the temple. In the fourth century, barbarian raids from Northern Europe and Ireland and political instability in the Roman Empire made trade and travel increasingly difficult. The number of visitors to Aquae Sulis declined, and at the same time flooding from the River Avon resulting from poor maintenance meant black mud began to cover everything. The Temple buildings collapsed and the roofs of the baths eventually crashed into the growing swamp. By the twelfth century the King’s Bath, formed within the shell of the Roman reservoir chamber, was enclosed within the precincts of the post- Roman monastery. Medical practice promoted bathing in the thermal waters to cure ailments as belief in its power re-emerged in the legend of the prehistoric Prince Bladud: in the ninth century BC, it was said Bladud contracted leprosy but was cured by the thermal waters of Bath. 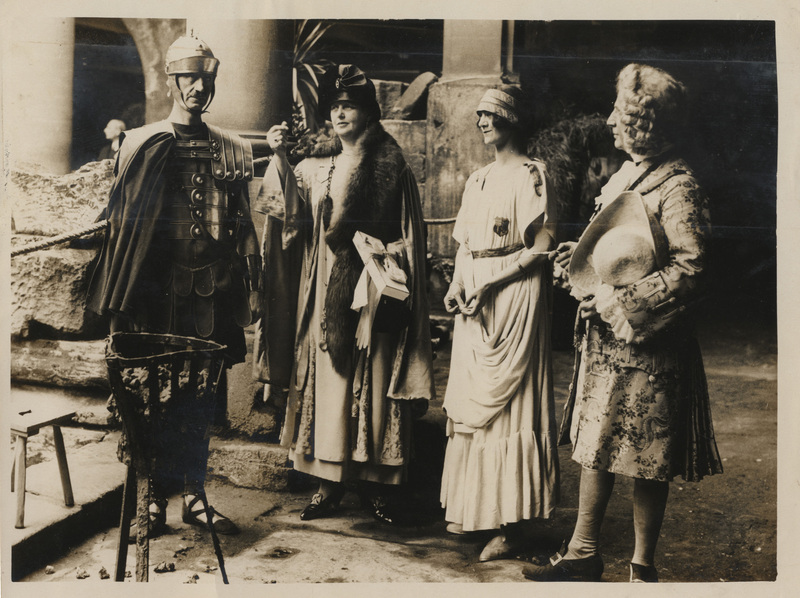 In the late seventeenth century doctors began recommending drinking the water as a remedy for internal conditions, and the first Pump Room, opened in 1706, placed drinking prescribed quantities of the water at the heart of the emerging spa culture. In 1878, the city surveyor architect Major Charles Davis, worried by a leak from the King's Bath spring, decided to explore the ground around it. 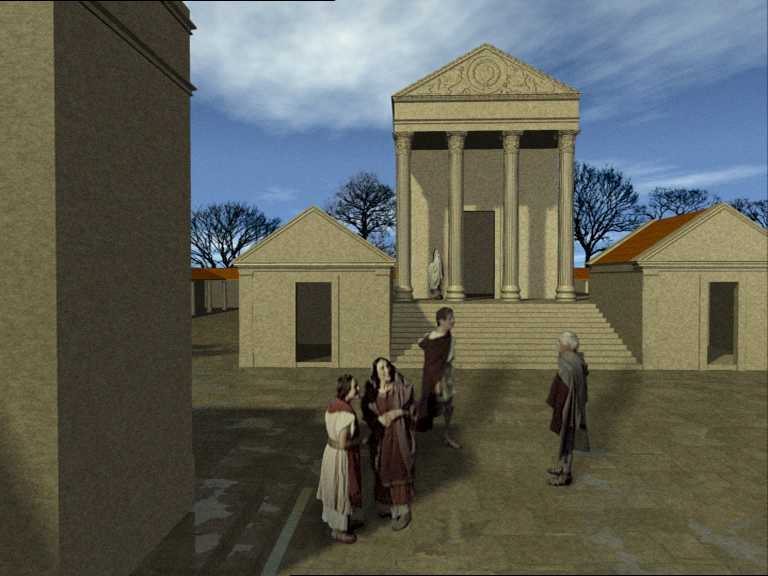 In doing so he found Roman remains and by 1880 had uncovered large parts of the Great Bath. The site was opened to visitors in 1897 and throughout the 20th century was progressively extended, notably with the east baths in the 1920s and later when the Temple Precinct was excavated beneath the Pump Room in 1981-83. In 2019 a new access zone will be opened up for the public in an area of Roman remains to the south of the site, where several underground vaults and tunnels lead into some currently inaccessible remains from the Roman bath house and town. Weddings at the Roman Baths and Pump Room - This very special venue is available for wedding ceremonies and receptions. Dinners and receptions at the Roman Baths and Pump Room - All you need to know about hosting drinks and dinner at the Roman Baths and Pump Room. To book a private event at the Roman Baths, please call 01225 477786 or complete our enquiry form.